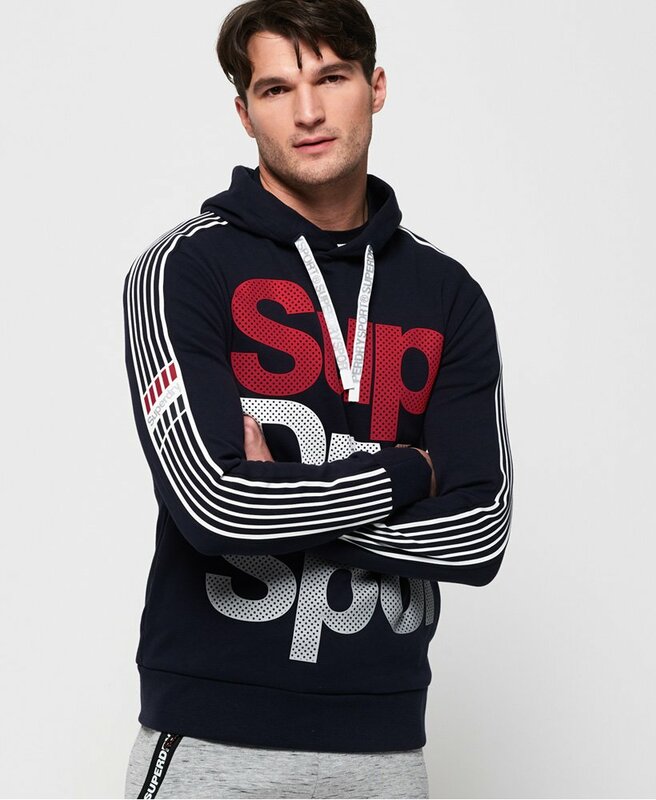 Superdry men's Athletico hoodie. Perfect to wear to and from the gym, this hoodie has been designed with your comfort in mind. Designed using four way stretch technology and light fabrics, this hoodie also features a drawstring hood and large textured graphic on the chest. The Athletico hoodie has been completed with pockets in the side seams and stripe detailing down the sleeves.